As the story goes, French ship cannons captured at the Battle of Trafalgar (the tide-turning conflict during the Napoleonic Wars) were brought home by the victorious English fleet. Too large to be mounted on Royal Navy ships, these trophies were instead stuck into the ground as symbols but also functional bollards (originally a term used to describe mooring posts) in and around the dockyards of East London. Old cannons were indeed well-suited to serve as posts in various capacities. 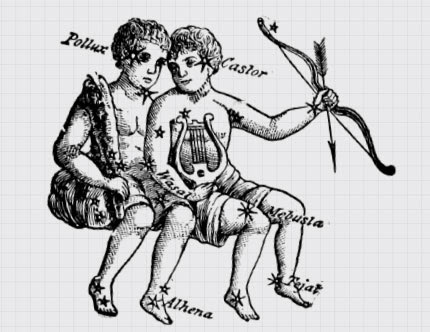 They could be planted deep for stability. Repurposed as mooring masts, wrapping ribs on the exposed sections even look purpose-designed to keep ropes from slipping off. The sheer weight and strength of cannons also make them good roadside protectors, arrayed around the corners of buildings or to guard foot traffic. According to Dr. Martin Evans, however, no captured French ships made it back to London from Trafalgar. Furthermore, any high-quality cannons made of copper and tin taken in other skirmishes would have been valuable and recycled. But while this specific urban myth does not match the facts, it does reflect a real practice of converting cannons (often cast-iron ones) into posts. Some of these were captured from foreign ships. Others were cast aside by Britain’s military forces. 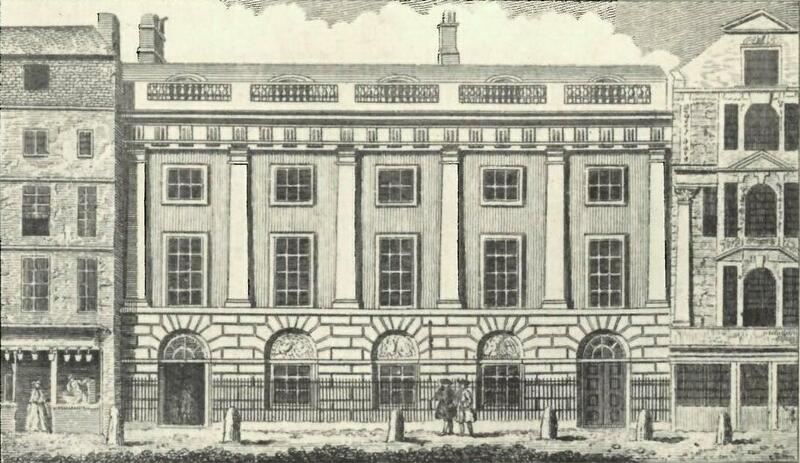 East India House, Leadenhall Street, London, 1766. 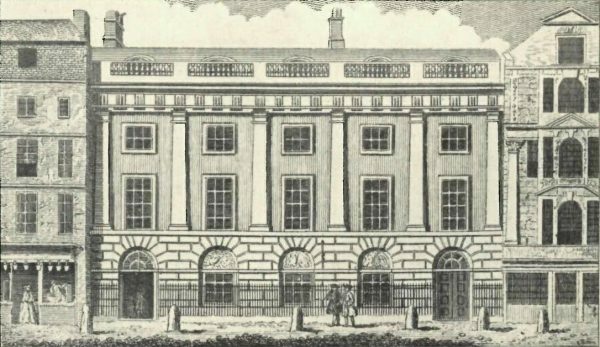 Six bollards stand in front of the building. 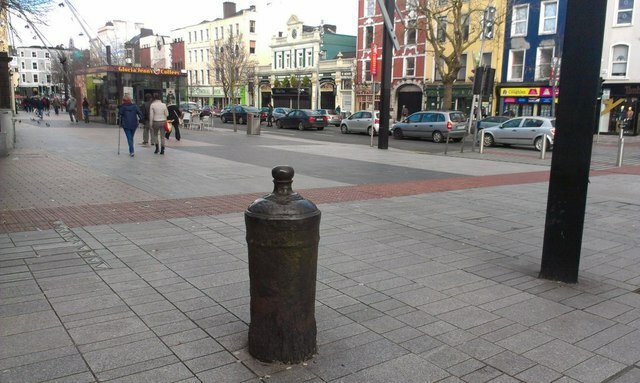 Historically, bollards were often made of wood. But as early as the 17th century, old cannons half-buried in the ground began serving as robust alternatives, often with the muzzle facing upward. Sometimes a too-large cannonball was introduced to permanently close the shaft. In other cases, the void was packed with dirt or simply flipped to face down. Many of these were iron cannons unsuitable for recycling. 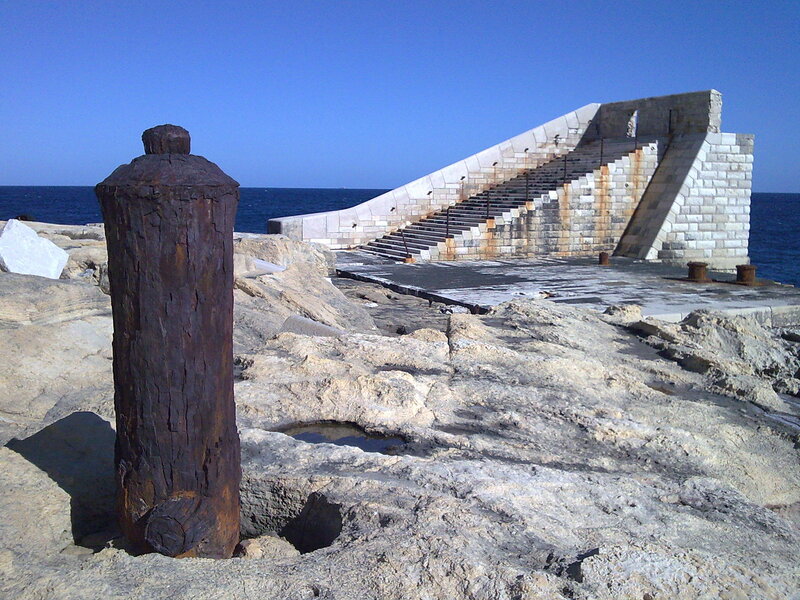 “In the case of old iron cannon,” Evans explains, “the scrap value would have been low enough for it to have been economical for civil authorities or businesses to buy them, when strong bollards were needed, rather than have purpose-made road posts or bollards cast by a commercial foundry.” In short: it was less about showing off victories against French forces and more just a function of economics. In the early 1800s, records show the Office of Ordnance posting sales of scrap cannons and balls, making them available for public purchase. “By 1815,” Evans continues, “when Napoleon’s army had been defeated at Waterloo, large numbers of foreign guns were in British possession. With the war over, many of these were sold off for scrap or reuse, often near navy docks.” This made it easy to turn them into nearby bollards. 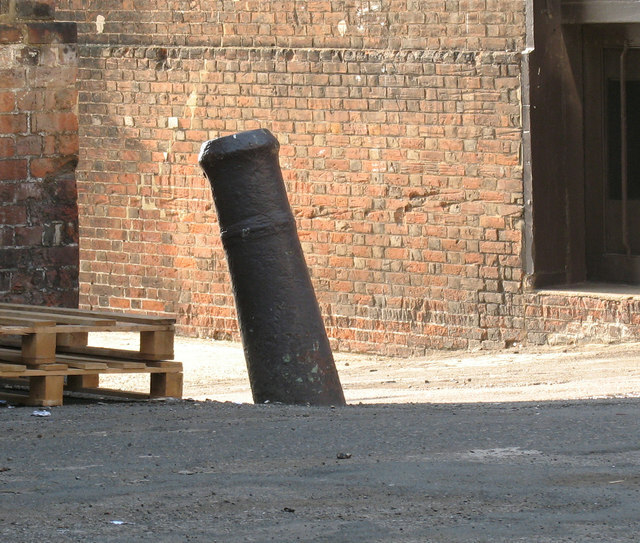 Today, many converted cannons can still be found sticking out of streets and sidewalks around Britain, variously serving as mooring masts, traffic barriers, architecture guards or survey markers. A few even function as the bases of columns holding up dockside structures or are integrated directly into the corners of buildings. Cannon bollards are by no means limited to the British Isles, either. 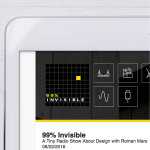 They can be found shielding building corners in Halifax, Nova Scotia and protecting pedestrians from cars along the sidewalks of Havana, Cuba. Around the world, people pass by these daily, never realizing they were once critical weapons used to wage centuries-old wars. 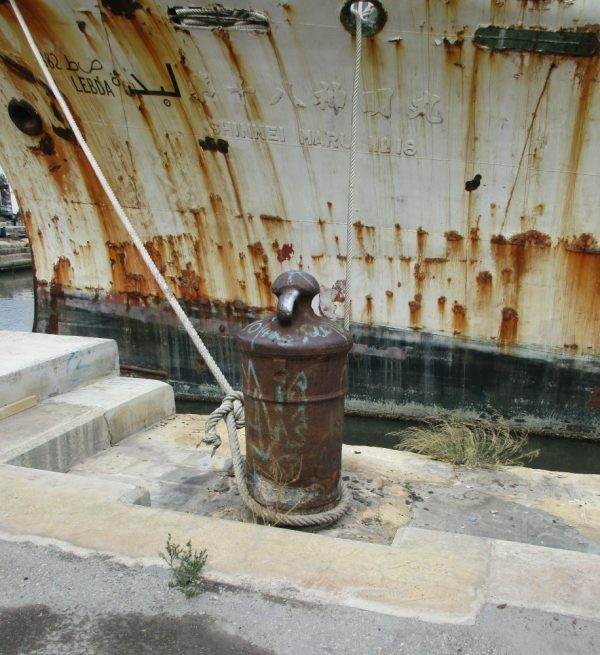 Not every cannon-shaped metal bollard serving as street furniture today traces directly back to an actual naval purpose. A company called Furnitubes, for instance, has been casting “Cannon” bollards from scratch since the 1940s. 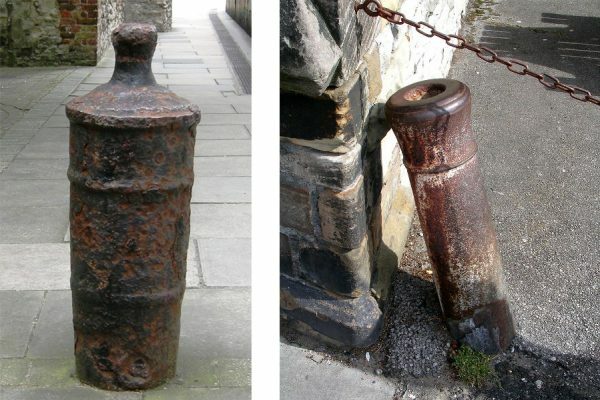 Inspired by ship-based bollards popular in the Victorian era, they also developed a “Gunner” variant (as well as non-military, borough-specific designs like the “City and “Palace”). Suommenlinna fortress (aka “Sveaborg,”) in the harbor of Helsingfors (Helsinki) has an extremely large enclosure of the artillery pieces (never used) from the fortress, embedded muzzle-down and connected with heavy anchor chain, surrounding a church on the island. Lovely pieces! I was recently in Stockholm and noticed used cannons were all over the old town, mostly functioning as protection for the corners of the old brick buildings. Cannons re-purposed to protect street corners can also be found in my hometown, Cádiz (southern Spain).